This past Thursday afternoon, August 18th, the beautiful Outer Reef 860 Deluxbridge Skylounge participated in the Florida Yacht Brokers’ Association Third Thursday boat show and networking event. Members of the association toured the spacious beauty to experience her expansive country kitchen and large skylounge area for themselves. All who toured her were in awe of her beauty and lasting impression. 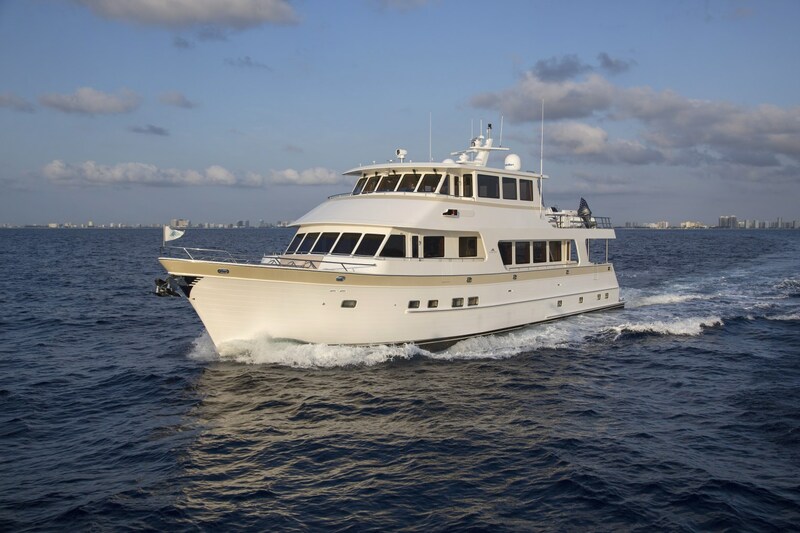 This long range cruiser is the perfect yacht for those who appreciate comfortable entertainment areas, high-end accommodations, incredible storage space, and the desire to “Go Beyond”.